Franklin is not a threat to land or any cruise interests. It formed on a frontal boundary and will become extratropical over the next few days. 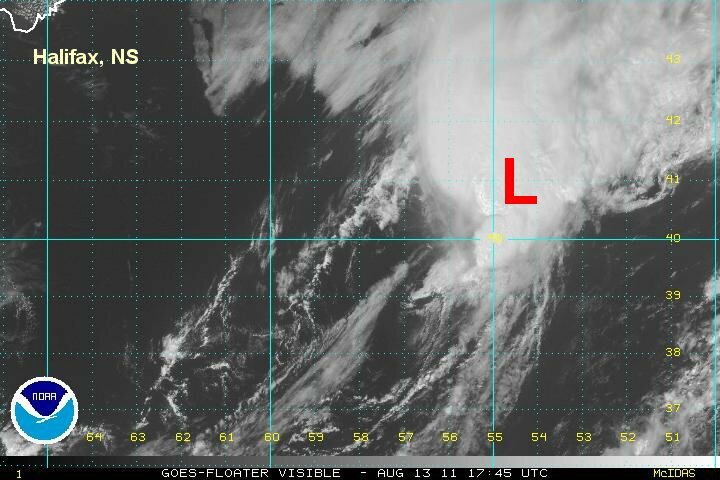 As of 9 am edt / ast Franklin was centered 38.2 N / 59.5 W or roughly 500 miles nne of Bermuda. It is moving ne at 20 mph. winds estimated at 40 mph (40 mph NHC advisory). Pressure estimated at 1006 mb. Forecasts take Franklin east into the open Atlantic and is not a threat to the U.S., Bermuda or the Caribbean. Franklin is moving rapidly across the north Atlantic and is losing its tropical characteristics. It will transform into a north Atlantic gale center by tonight. 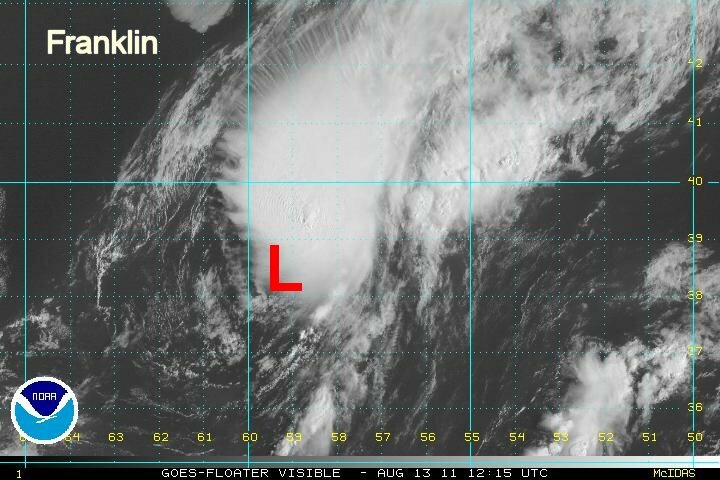 As of 3 pm edt / ast Franklin was centered 40.9 N / 54.3 W or roughly 820 miles ne of Bermuda. It is moving ne at 22 mph. winds estimated at 45 mph (45 mph NHC advisory). Pressure estimated at 1002 mb.